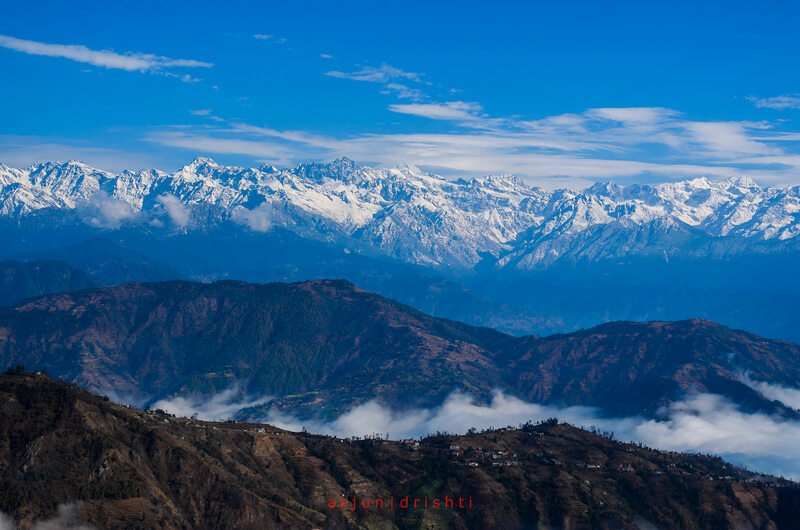 Directions: Nagarkot is a hill station around 30 kms (roughly an hour's drive) northeast from Kathmandu, the capital city of Nepal and about 15 kms north from Bhaktapur. The best attraction of Ngarakot is the mesmerizing view of sunrise over the range of snow capped mountains. 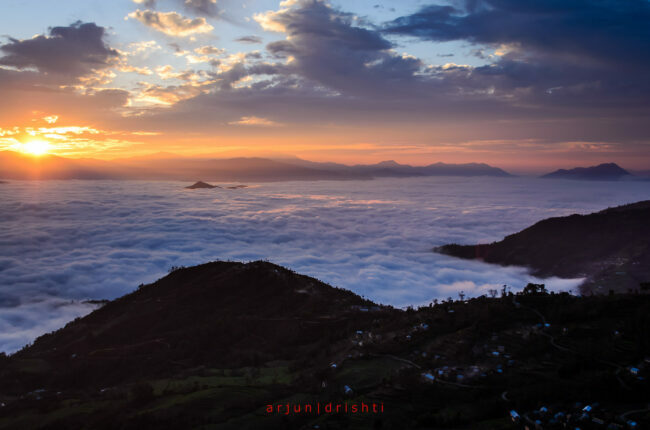 Nagarkot is famous for it sunrise view. There are lots of quality hotels where you can stay overnight and photograph the sunrise next morning. It will be best if it rains the previous night. If you are lucky enough, you will see a sea of fog settled in the valley downside in the morning.